Reviews - Homestead, Kendall, Miramar, Miami | K&R Painting and Remodeling Corp.
Ronnie and his crew (Luis and Jose) did an amazing job painting my condo. They are very detailed and professional. They totally transformed the look of my place. I would definitely recommend them! Looking forward to doing future projects with them. Ronnie and K&R Painting and Remodeling did an absolutely fabulous job painting a house I inherited from my brother in Homestead. I had to coordinate everything long-distance because I live in the DC area. The interior of the house hadn't been painted in 14 years, but now it looks so clean with a fresh coat of paint. Ronnie worked with me every step of the way. I HIGHLY recommend hiring this company. I would give them 10 stars if it was an option!!! Overall very satisfied with the experience and result of the project. Ronnie and his team delivered on time and were very responsive throughout. Looking forward to working on further projects soon. Ronnie was amazing through this whole process. Each one of the workers were outstanding and very hard working. Our house looks beautiful. I would definitely recommend them. Very professional . Good price . Excellent work . I will recommend Ronnie and his crew to whoever is looking for quality and affordable price . 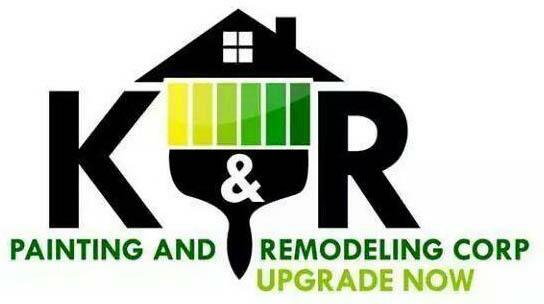 We will be using K&R again for future projects . This is the second time they accomplish a job for us . Very well done . our property looks new again . I will recommend this company to anyone who is looking for quality and professionalism. Ronnie repaired some water stains on our front room ceiling. He provided excellent workmanship for a fair price. The stains we're tough to cover but he returned a couple of times until we were happy. He always responded promptly thru text messages and was on time for appts. I will use his services again.